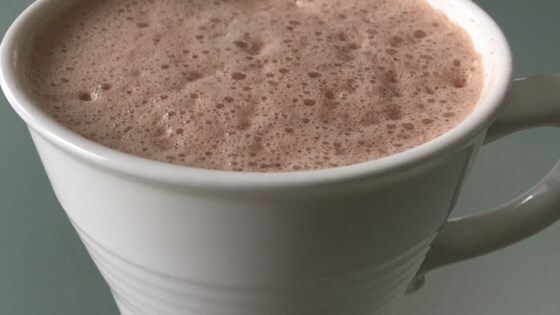 "Easy vegan hot chocolate to keep you warm during the winter!" Bring water, sugar, and cocoa to a boil in a small saucepan. Pour in soy milk and stir until combined and heated through, about 3 minutes. Simple and delicious. I omitted the water and added an extra cup of soy milk to keep it creamier.